Sven is a Senior Manager at Deloitte Consulting within the Financial Services Industry and presides the Legal Labs of Deloitte’s Blockchain Institute. He has a long track record within the financial services industry and has lead large cross country transformation projects and knows the current business pain points inside out. Since one year he is thrilled by the disruptive potential of Blockchain and drives the identification of true game changing uses cases and business models with tangible added value for his clients, right from the get-go. He sees an urgent need of finding solutions to legal issues with Blockchain and fosters the legal acceptance and legal binding of Blockchain. 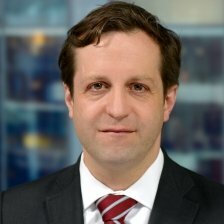 Sven has studied law and physics at the Ludwig-Maximilians-University of Munich and is a registered lawyer. PANEL: Is code the new law?